Accidents on the water can happen much too fast to reach and put on a stowed life jacket. Life jackets save lives. There is no excuse not to wear a life jacket. Continue reading to find out why, and enjoy the new comfort and styles available. 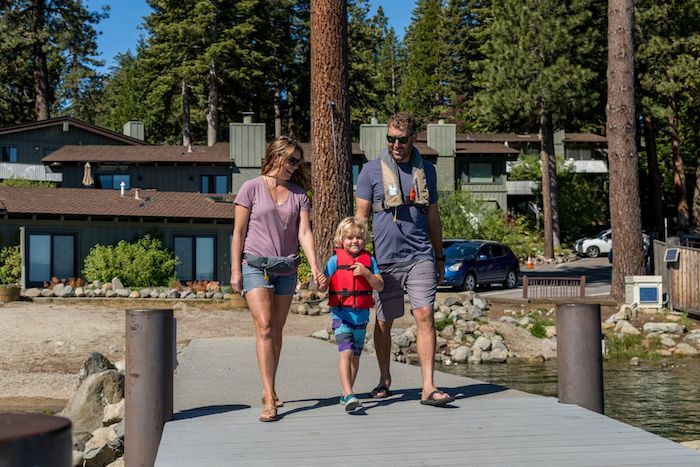 The good news is that modern life jackets are much more comfortable, lightweight and stylish than the bulky orange style most boaters are familiar with. Newer style inflatable life jackets are powered by a CO2 cartridge (replaceable once used), and are cool and comfortable to wear all day while boating. Some even inflate automatically when they are submerged in water. A boater should choose a life jacket that’s right for them and consider their planned activities and the water conditions they expect to encounter. Specific styles of life jackets are available for almost any kind of water activity, including fishing, personal watercraft riding, cold weather/hunting and paddling. There are even special life jackets for pets! Regardless of the style of life jacket a boater selects, they should always wear it while boating. After a boater has selected their preferred life jacket style, here are some helpful tips to keep in mind. Make sure the life jacket is U.S. Coast Guard-approved. Each approved life jacket will have a label on the inside with the Coast Guard-approved approval number. Check the manufacturer’s ratings for size, weight and activity. Try it on to make sure it fits properly. A life jacket that is too large or too small can cause different situational problems and can even hinder the safety of the boater. The life jacket should be zipped and/or buckled properly, and fit snug. If there is excess room above the arm openings and the jacket rides up over a boater’s chin, it does NOT fit properly. If there is still excess room after they tighten the straps, they should try on a smaller life jacket. Be sure to following the maintenance and care instructions for the life jacket on the label. Inflatable Life Jacket: Authorized by the U.S. Coast Guard for use by persons 16 years of age and older. Inflatables are more comfortable, encouraging regular use, however they require regular maintenance and attention to the condition of the inflator. Some inflatables are required to be worn to satisfy carriage requirements and are not authorized for personal watercraft, for white water paddling, water skiing or similar towed water sports or in below freezing conditions. Always read the manufacturer’s information booklet and label provided with all life jackets. Inherently Buoyant Life Jacket: Uses foam or other buoyant materials to stay afloat.